CIREB’s past presidents gather for their annual Presidential Portrait with one special guest. 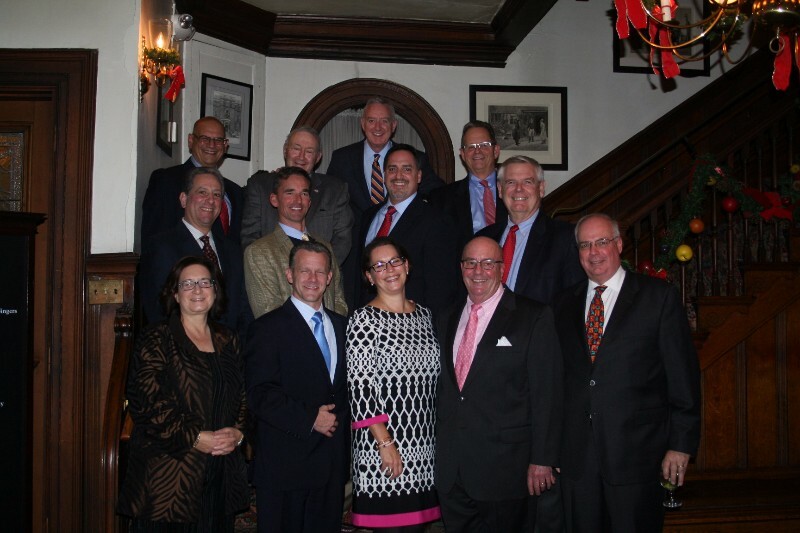 President Jessica Richer, Dan Simpson, Ann MacAffer, Jeff Sperry, our special guest Bill Picotte, Mark Aronowitz, John MacAffer, Cory Tyksinski, Jim Conroy, Richard Ferro, Robert Freedman, Chris Falvey and Howard Carr. During our holiday party, CIREB members and guests raised over $2,000 for Things of My Very Own. (TOMVO) is a non-profit organization that provides crisis intervention services to children who have been impacted by extensive abuse and/or neglect. We also provide services to children at-risk of a Child Protective Services intervention solely due to not having items necessary for sustainability. This organization works to keep children with their non-abusive family members and out of the foster care system whenever possible.